Starting in 2008, I began scanning old family photos. I have scanned approximately 11,000 photos and attempted to organize them both digitally, as well organize the physical photos. Our old family photo organization was an absolute mess. Some photos are in albums, some are loose in drawers. The ones that are in albums are sometimes in no particular order. There are photos from my first birthday are right next to the photos from my sixth birthday. We never had much money growing up, so it looks like my parents just bought whatever the cheapest camera was when an old one broke. The physical quality of the photos vary greatly, from photos that look barely faded, to photos that are almost unrecognizable and were so fuzzy. A lot of photos are in those horrific sticky page albums, and it’s easy to rip the photos if you want to take them out to scan them. 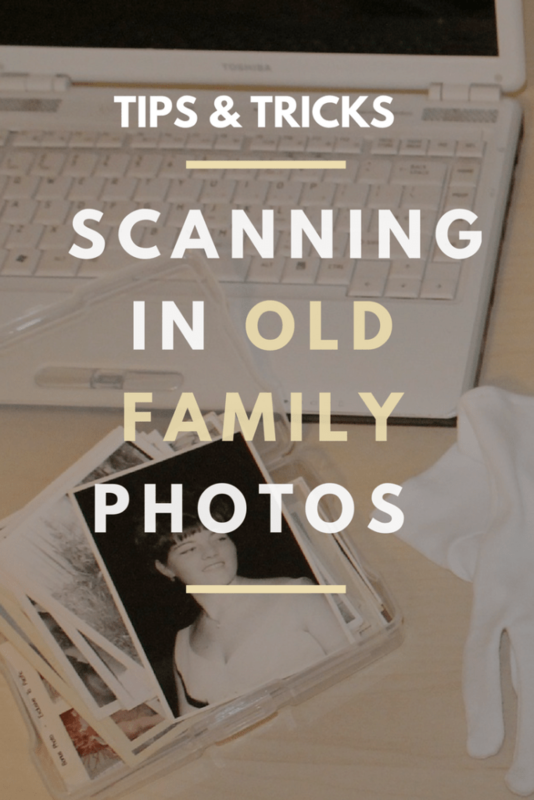 So, I’ll walk you through the lessons I’ve learned scanning in old family photos and offer up a lot of the tips and tricks so that you can do the same! Over the next few posts about photo scanning, I’ll walk you through the step-by-step tutorial of what worked for me, and some important lessons I learned along the way. Although this guidance has nothing really to do with with any actual scanning, it is an important first step, especially if part of your goal is to also organize the physical copies of your photos. This guidance works under the assumption that, like my family, you have a mix of photos in albums and some loose photos in drawers (or all loose photos). It also works under the assumption that the many (or all) of your photos are not organized well or labeled with the event and year. So, if your family maintained perfectly organized photos in photo albums or boxes all neatly labeled and arranged by year (ahem, my husband’s family), then you can probably skip this post and wait for the next one. Take an evening to yourself and do some very quick organizing. You’re going to organize your photos just enough to get them ready for the next steps. Dump. Take one drawer full of photos and dump it in the middle of a clean floor with ample space around you. Take a deep breath, put on some upbeat tunes, and have a pen, marker, envelopes, and photo baggies, all within reach. Weddings and wedding showers. Just put all wedding photos in one pile, even if they’re from different weddings. You’ll sort it more thoroughly later. Remember triage should be quick to prevent it from being too overwhelming. Birthdays. Again, anyone’s birthday from any year all goes in the same pile. School events. Plays, talent shows, etc. Religious events. Baptisms, communions, etc. Professional photos. Old school picture day photos (whether yours or friends’ photos that you exchanged), pictures taken at photo studios, etc. General baby and kid photos. Holidays other than Christmas. Halloween, Easter, 4th of July, etc. Miscellaneous major events. First day of kindergarten, high school graduation, etc. Garbage pile. Photos that are too dark or blurry to see what they are. Unknown places and people. Put pictures in here of people that you don’t know or pictures where you can’t tell where they were taken. Typically asking around in your family can reveal some clues. Label and Put Away. Now it’s time for a break. But before you can do that, we’re going to put your triage piles in envelopes (for smaller piles) and large baggies (for bigger piles). Put the photos into an envelope or bag, and label the outside of the bag or envelope with the pile’s name/category. Congratulations. 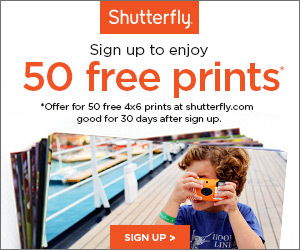 Your photos are considerably more organized at this point! Repeat the Dump, Triage, Stack steps until all your drawers of photos are in an appropriate triage pile. Why is this process so important? Can’t I just scan them in and sort them into files later? Ummm, sure. But, in my experience, this is not optimal. When I started scanning old photos, I followed this process. It made the photos infinitely easier to sort into more detailed folders once they were on the computer. (For instance, I just had to find the “Weddings” group and then I could sort it into “Mary and Joe’s Wedding” and then “Mark and Michelle’s Wedding.”) About two years ago, my mom found a HUGE box of photos in the garage that were a disorganized mess. I did not sort these photos according to this process. Instead, I just scanned them willy nilly. Ugh, organizing them digitally now has been a time consuming nightmare. Finding and sorting photos by thumbnail is a lot more annoying than sorting a physical 4×6” photo. So, I definitely recommend this process (or something similar), but if you’d prefer to skip it, go ahead. Has anyone else organized drawers full of old photos? What are some of your tips? Perhaps I missed it….but I’d love to see the next steps in this series. 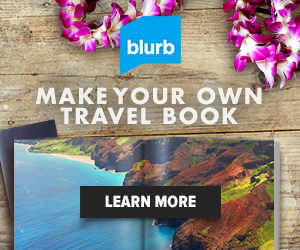 Love your writing/topics. Thanks!